Get quick answers, we have answered some of our most common questions for you. All of our recreational sessions are paid for termly at £65 this can be paid for by bank transfer, cheque or cash. Our competitive sessions are paid for monthly and are paid by by bank transfer on the 1st of each month. Adult sessions are run on a PAYG (pay as you go) basis at £5 per session. Do I need British Gymnastic membership? To take part in any of our sessions you will need a British Gymnastics membership. For recreational and adult sessions you will require a bronze membership. Competitive members will require a silver membership. How do I order club kit as a competitive member? To order club kit you will need to speak to Jane. You can find more information on club kit: here. Please note we keep a limited number of stock, so please give as much notice as possible. 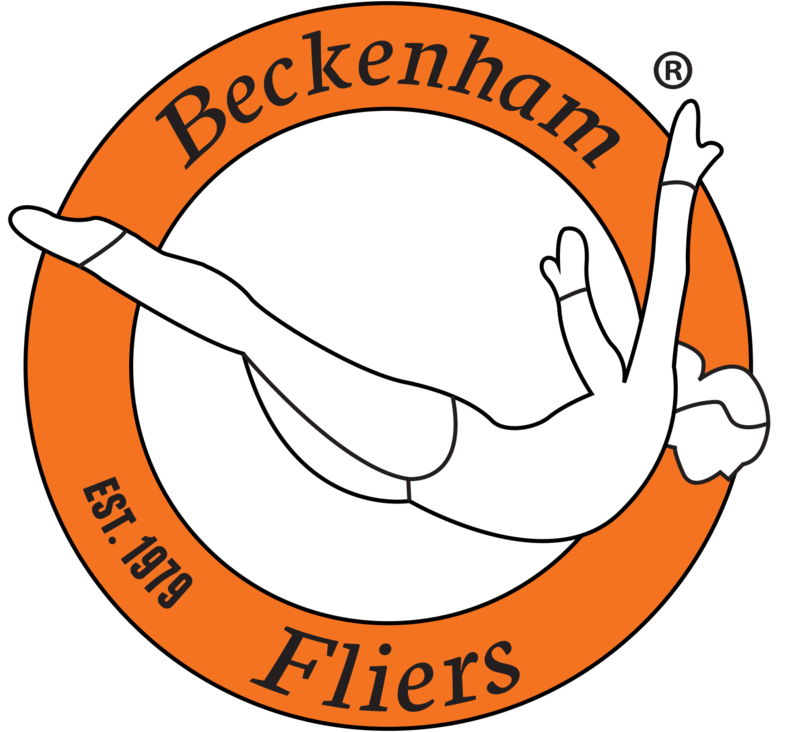 At Beckenham Fliers we now offer more sessions than ever. To enquire about joining one of our recreational sessions, simply contact us. Please note, due to high demand there could be a waiting list. Our competitive sessions can only be joined by invitation, so please contact us for more information. From what age do your sessions start? Our sessions are open to anybody from the age of 5+. What day do you run sessions? We run sessions on a Friday Evening, Saturday Morning and Monday Evening. For your session you will need to wear appropriate clothing removing all watches, jewelry and piercings. No jeans, tracksuit bottoms or hoodies - shorts or leggings are appropriate. Where is Beckenham Fliers Trampoline Club? Beckenham Fliers currently operates out of Harris Academy Bromley based on Lennard Road in Beckenham, Kent near New Beckenham train station. What can I expect from joining a session? You can expect a warm welcoming each time you enter our training hall. Within your session, you will be placed on your designated trampoline to match your ability with a dedicated coach who will be there to help you achieve the best of your ability. At Beckenham Fliers Trampoline Club our members safety is paramount. We regularly service and update equipment to make sure they are safe and working correctly. As coaches we teach skills correct and gradually build up to bigger moves, such as somersaults. We do not let members progress onto bigger moves unless they are ready, learning the correct prerequisites before hand. For all other questions please contact us and a member of our team will be in touch as soon as possible to answer any questions!